High culture or low culture, night or day, food or drink, arts or entertainment, this beautiful city abounds with options. We've narrowed the lengthy roster of possibilities and experiences down to 25 we'd recommend tackling. Whether you conquer the entire list or highlight just a couple during a weekend in town, you won't be disappointed. 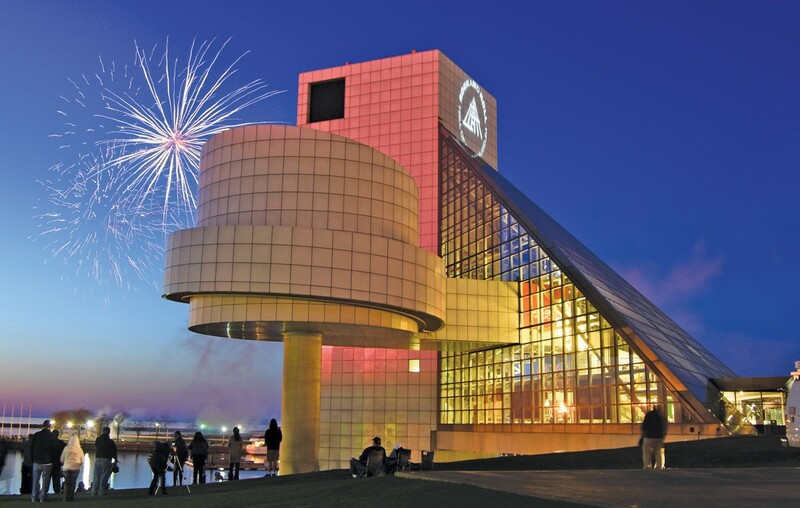 The Rock & Roll Hall of Fame might feel like one of those things Clevelanders take for granted. But we should all be paying more attention, and stepping through the doors. The Hall is oh-so-much more than a museum, which isn't to knock its collection — do be sure to check out the Hall's Right Here, Right Now! Collection, which showcases items from modern luminaries not yet eligible for induction. But the Rock Hall offers so much more. From concerts, talks, films and interactive exhibits, there's always something new, something to learn, something to experience. Don't miss the Power of Rock, a spellbinding exhibit featuring video footage and sounds that make the whole room shake. It might seem obvious, but if you've never caught a show at Playhouse Square, you should rectify that mistake immediately. Playhouse Square is the nation's largest performing arts complex outside of New York City, and the thrill of going to see a touring Broadway musical in one of its elegant theaters really never gets old. There's something old-timey about it, you know: a night on the town. But it's not just Broadway musicals you'll find at Playhouse Square. With nine distinct venues, programming includes (but is by no means limited to) comedy acts, variety shows, literary lectures, a summer cinema series and concerts. There's something happening every night of the week, and with competitive ticket prices and discounted season bundles, seeing high-caliber performing arts has never been as classy nor as comfortable. Yes, and there's a massive chandelier. Although Cleveland Public Theatre is committed to supporting home-grown artists and professionals alike, its dedication to fostering conversation and communication within the community at large is just as impressive. The theater's programming is diverse and thought provoking, and aims to illuminate and examine pressing social issues, while its youth-geared programs offer cultural and personal enrichment. CPT's ability to launch promising works by upstart playwrights is an asset that enriches (and emboldens) the local cultural scene. Back in the '80s, video game arcades were the hippest places in which to hang, as they were communal gathering places as much as they were gaming emporiums. That's the vibe of Superelectric Pinball Parlor, whose rows of flashing machines brighten the corner of West 65th and Detroit. In a nod to the owners' reverence for pinball's history and evolution, simpler older models — all of which have been lovingly restored to their original colorful glory — are as common as sleek new games. 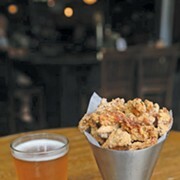 Find a nice selection of beer and nibbles like Korean fried chicken. Just be sure to wipe your hands before heading back to the machines. This neighborhood anchor isn't just the biggest supporter of Collinwood's growing arts district: It's also a vocal champion for Northeast Ohio's burgeoning arts scene. That's obvious in the mind-expanding exhibits that cycle through the gallery in a given year — all of which encompass diverse mediums and approaches — and the community-oriented way it approaches operations. After all, few organizations would dare to combine their annual meeting with a Valentine's Day card-making party — a welcoming, transparent gesture that makes the public feel connected to both the gallery and culture at large. How can a bookstore that shares its space with a shop that sells antique Persian rugs not be a place you'd want to spend hours browsing around? Loganberry Books in Larchmere is the sort of warm, inviting new and secondhand bookshop now found only in college towns or the arty sections of a handful of major cities. There are some real gems to be found in its tall, closely packed stacks and rooms that seem to go on forever, including used and antique hardcover children's books, an eclectic selection of fiction, and long-out-of-print volumes of poetry by the likes of Edna St. Vincent Millay, Kenneth Koch, and Anne Sexton. The Larchmere neighborhood is widely known for its extensive offerings of antique and art shops. American Crafts is known for their collection of contemporary ceramics, wood and glass made by American artists from around the country. John L. Young Inc. specializes in antiques and jewelry from Asia. Elegant Extras features antiques for entertaining, like porcelain, crystal, and fine silver, and also has a wide selection of costume jewelry. Bingham's Antiques has an eclectic mix of unique decorative arts from the middle of the 20th century. Marc Goodman's Antique Mall contains six separate dealers of fine furniture, artwork, glass, pottery, china, jewelry and more. In the past few years, Lakewood Park has exploded in popularity. Sure, that's because of the ongoing greatness of Foster Pool (another hidden gem in the city) and the kid-friendly playground. 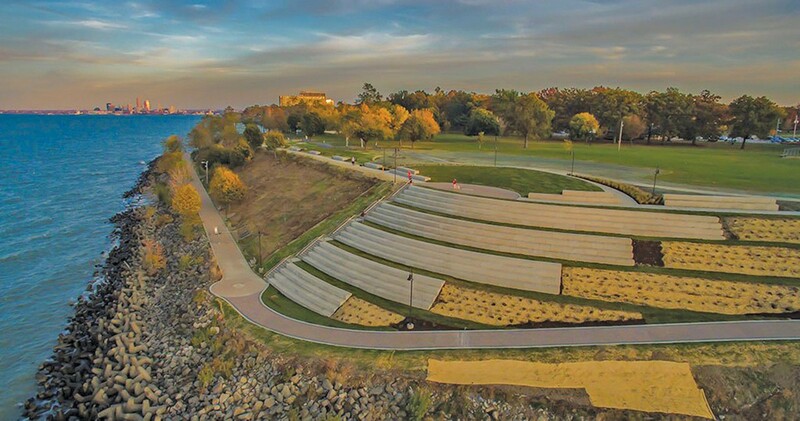 But the 2015 addition of the Solstice Steps cemented Lakewood Park's reputation as a greenspace gem. The tiered, elevated steps offer a gorgeous view of the sunset, as well as a place to relax and soak up some rays during the all-too-rare warmer months. Going to Mahall's is like stepping back in time. That's a good thing: Although the 1920s-era alley received some updates in the past few years, the bowling is still as old school as it comes. 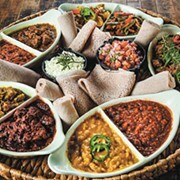 What's new (and welcome) is how Mahall's has become a much-needed westside entertainment destination. The complex now regularly hosts all sorts of events: DJ nights and dance parties, comedy shows, and concerts from local and touring pop, punk, indie and emo bands. 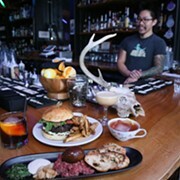 Plus, the bar has a small but mighty beer list and food menu that's perfect for late-night noshing. This isn't the Nintendo binge of your childhood. At the popular 16-Bit Bar + Arcade in Lakewood, patrons sip on boozy cocktails named after retro crushes — Molly Ringwald, Carrie Fisher, Patrick Swayze and Marky Mark, say — to earn free plays on a rotating list of old-school arcade games and pinball machines. Whether you're an '80s kid (Galaga, Asteroids) or a product of the '90s (NBA Jam, Teenage Mutant Ninja Turtles), 16-Bit is sure to have a game for you. Proof positive that Lakewood's bar scene continues to become more diverse: The Side Quest, a self-proclaimed mecca for "geeks and nerds," especially those who prefer to pair beer with board games. These games are available to rent at the bar for a nominal fee (or you can bring your own), although that's not all the bar has on tap, entertainment-wise. The Side Quest's weekly theme nights have a little something for everyone: There's an anime fan happy hour, a beginner's Dungeons & Dragons night and even Mario Mondays. 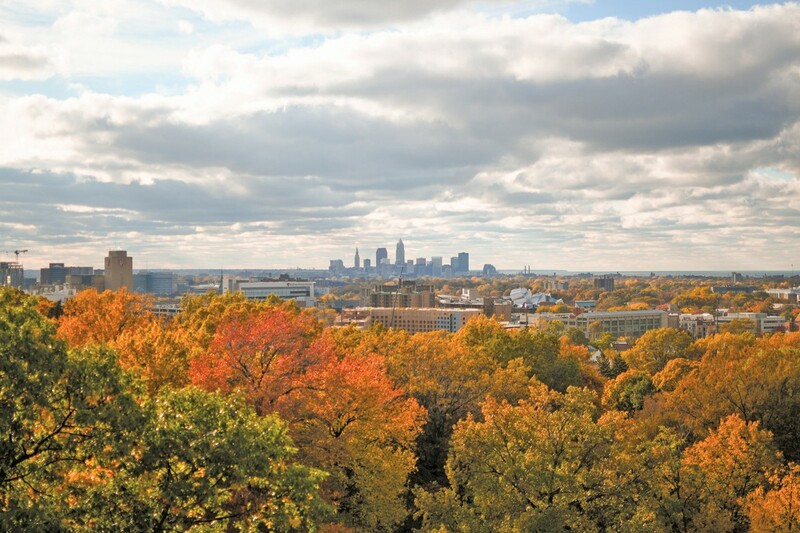 The Cleveland Museum of Art is one of the many remarkable cultural treasures in University Circle. It houses nearly 45,000 works spanning from 3,000 B.C.E. to the present. In the age of the selfie, the south galleries' Armor Court is especially popular with tourists cheesing it up among the hollow plate and mail. The lofty atrium, conceived by Uruguayan architect Rafael Viñoly, hosts monthly mixers with live music, airy atmosphere and — of course — booze. The museum's performing arts series showcases a range of artists in Gartner Auditorium and in the galleries themselves. 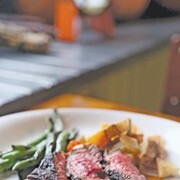 Provenance Cafe contradicts the old saying about art in restaurants and food in museums. As one of the world's top museums with free admission, it's no wonder CMA is one of the most-visited, with more than 700,000 guests each year. Severance Hall is synonymous with the Cleveland Orchestra, which has called it home since 1931. John L. Severance built the hall in memory of his wife, Elizabeth, whose personality and taste infuse the design by local architects Walter & Weeks. The building's classic exterior complements the rest of University Circle's cultural institutions. The interior is an explosion of art deco, classicism, Greek and Egyptian revival. The Cleveland Orchestra performs most of its regular season concerts in the main hall. The more intimate Reinberger Chamber Hall, just off the main lobby, is used for educational programs and chamber concerts. If orchestral music isn't your style, you can still admire Severance's eclectic architecture on a free public tour. Call the ticket office to reserve a spot. Let's start with the building itself: a $27 million black, prism-like block covered in more than 1,300 Rimex steel panels that, on certain rare days, cast that iconic Cleveland sunlight onto the street, blinding pedestrians and motorists alike (not exactly ideal when you're about to go look at art). But Cleveland's Museum of Contemporary Art's bold new home is the first U.S. building — and the first museum — designed by Iranian-born British architect Farshid Moussavi. MOCA is one of a handful of museums that has no permanent collection. So while other museums promise something new with each visit, MOCA actually means it. The museum's 6,000-square-foot top level functions as a versatile exhibition space and offers a view of the outdoor plaza below. From its modest 19th-century beginnings on Public Square, the Cleveland Museum of Natural History has grown into one of the finest natural history museums in the nation. CMNH is home to a staggering five million specimens and artifacts, numerous exhibits, and devoted researchers whose work goes far beyond just dinosaurs. The museum's collections span a variety of natural disciplines including archaeology, botany, ornithology and climate science. The museum's library contains upwards of 60,000 books and periodicals available for on-site perusal by appointment. The museum also oversees and preserves thousands of acres of land. The nationally-acclaimed, nonprofit Cleveland Cinematheque offers screenings of alternative, independent, classic and foreign films nearly every week of the year. Film buffs can take in 16-mm and 35-mm films on a fairly regular basis, though most films are now shown in digital formats. The 300-seat theater resides in the relatively new George Gund Building in Uptown. It's part of the Cleveland Institute of Art's new $75 million campus, which turns 3 years old this year. You can't miss it: Just look for the LED "media mesh" jumbotron as you drive east on Euclid Avenue. 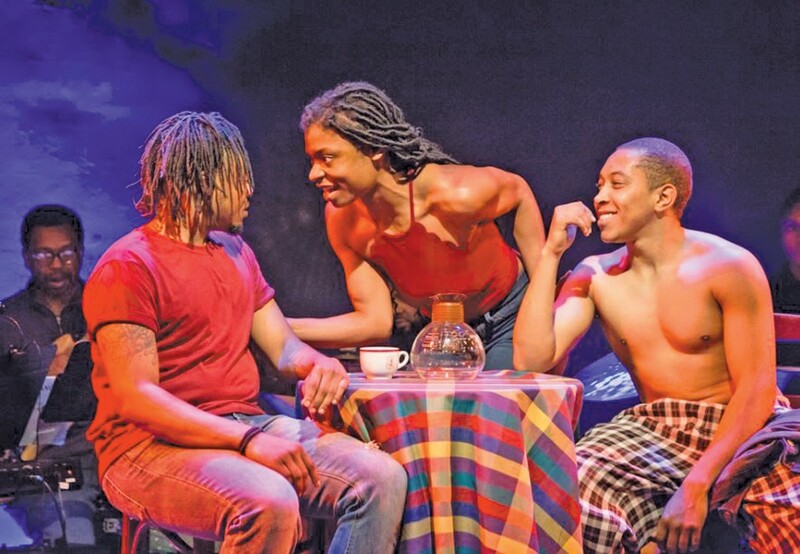 Karamu, a professional theater company named after the Swahili word for "a place of joyful meeting," focuses on productions that illuminate the African-American experience. Founded by two white social workers, Karamu began experimenting with interracial casts in the early 20th century. Karamu claims the great poet Langston Hughes as one of its most illustrious alums. Karamu was part of an artistic settlement in the early 1900s that included an early childhood development center and a center for arts education. Today Karamu holds rigorous programming in dance, vocal music, and drama for children, youth and adults. With its 10 acres of outdoor gardens and 18,000-square-foot greenhouse, the Cleveland Botanical Garden is a year-round escape from urban surroundings. Roughly 150,000 guests visit the botanical garden each year. The Eleanor Armstrong Smith Glasshouse focuses on plants and insects from Madagascar's desert as well as Costa Rica's tropical rainforest. The garden's art gallery features nature-inspired works by local artists. The botanical garden is open Tuesday through Sunday; check online for hours. Every week mid-May through mid-September you can explore downtown through Take A Hike! A program of the Historic Gateway Neighborhood Corporation, Take A Hike offers five free guided walking tours of downtown neighborhoods complete with actors portraying historic Clevelanders. Because whether you're a local or visitor, there's few better ways to learn about a city than ambling about with an historical guide. Warehouse District neighborhood tours take place Saturday mornings. For more information, visit warehousedistrict.org. There's something about cemeteries called Lake View and famous people: Think of the Lake View cemetery in Jamestown, New York, where Lucille Ball was eventually moved after a few years in Hollywood. 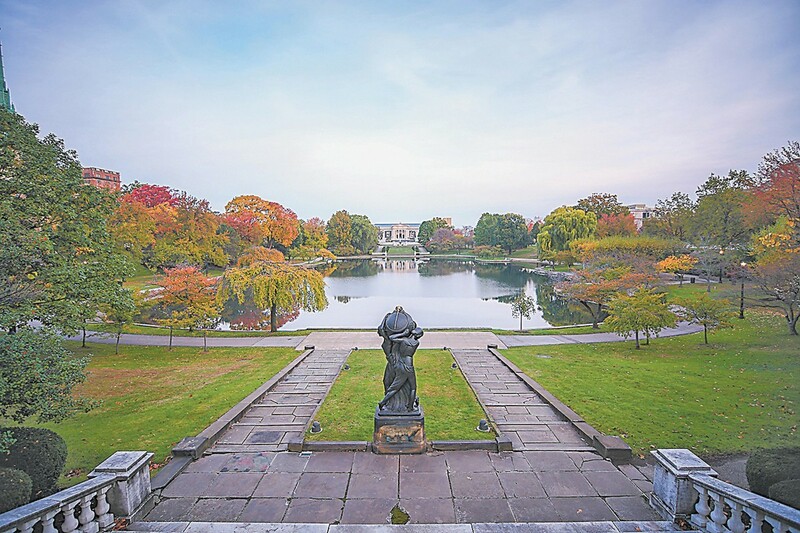 Our own Lake View is the resting place of such 20th century figures as oil magnate John D. Rockefeller, the untouchable Eliot Ness, Cleveland Orchestra founder Adella Prentiss Hughes, President James A. Garfield, and Abe Lincoln's former aide and U.S. Secretary of State John Hay. Lake View's lush grounds are speckled with gravestones and monuments honoring more than 100,000 deceased. The Jeptha Wade Memorial Chapel features an interior designed by stained-glass legend Louis Comfort Tiffany. Docent-led walking tours are available for groups of 12 or more, with a registration fee of $5 per adult. If there's one thing Old Brooklyn is known for, it's the Cleveland Metroparks Zoo. Home to creatures of every shape and feather since 1882, the zoo is absolutely a must-see attraction for out of towners and locals alike. Especially since the zoo has been inundated with baby animals lately — including a rhino, otters, red foxes and a giraffe. Zoos are typically known for their family-friendly atmospheres, and this one is no different. Be sure to check out free Mondays between Memorial Day and Labor Day, available for all Cuyahoga County and Hinckley Township residents. Events like the Cleveland Asian Festival and Night Market have attracted tens of thousands of people to the neighborhood over the past few years, exposing many of them to the food, people, culture and neighborhood. That support does not go unnoticed by those who live and/or work in the area, many of whom have grown up on the sidelines of mainstream American culture. From dim sum at Li Wah to soup dumplings at LJ Shanghai to pho at Superior Pho to sizzlingly spicy chicken at Szcehuan Gourmet to the buns at Koko Bakery, the neighborhood is an endless exploration of Asian food culture. Be sure to stop by Tink Holl, one of several bustling indoor Asian markets in the neighborhood. Under the open, Byzantine tile roof of the West Side Market, shoppers can find food from Greece, Cambodia, the Middle East, and a whole host of Eastern European nations. The smell of cured meats and oils and cakes mingle in the air. Produce vendors shout out deals. 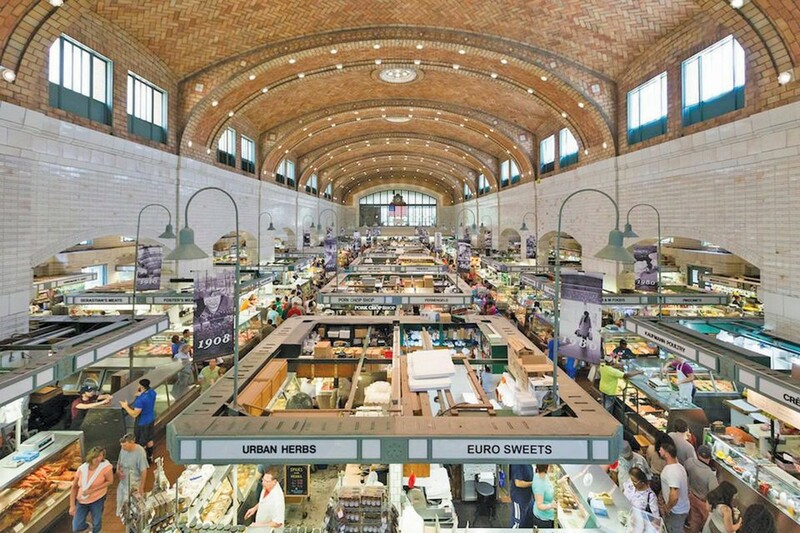 Take out the parking and a visit to West Side Market is pure Cleveland food magic. 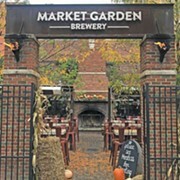 The Market can trace its roots back to 1840, when former Ohio City mayors Josiah Barber and Richard Lord donated land to the city on the condition that the site always host a public market. The Pearl Street Market, named for the street that would later become West 25th, served the neighborhood, in particular the immigrant population, for 75 years. When the population grew too large for the market to adequately serve, construction began on a larger site across the street. Architectural firm Hubbell and Benes, perhaps best known for designing the Cleveland Museum of Art, helmed the project. In 2012, the Market celebrated its 100th anniversary, and shows no signs of slowing down. There's a welcoming smell on entering Forest City Shuffleboard: sawdust mixed with fried food. It's a charmingly retro establishment offering indoor and outdoor shuffleboard courts and tables. It's friendly to all ages, and even if you don't care for playing shuffleboard, there's plenty of craft beer to choose from. In an increasingly digitized culture, there is comfort to be found in the physicality of board games. That could be why Tabletop Board Game Cafe is so darn fun. With a warm, inviting atmosphere and a library of nearly 1,000 board games to choose from, Tabletop is a place to enjoy a childhood favorite or learn a completely new one. 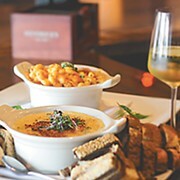 Some nice bites and beers will sustain you, and $5 will let you play all day.